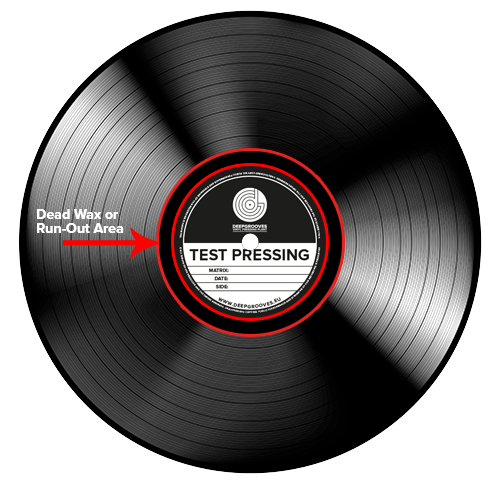 Almost on every Vinyl Record the is a text inscription in the "Dead Wax or Run-Out Area". Deepgrooves standard is the Catalog/Matrix number and initials from the cutter. Extra text is an option: Artist Name, Label Name, A message to your listeners... Anything is possible.. maximum is 30 characters.